I Think They Think . . . This video is presented by Guilford Publications in cooperation with Monkey See Productions, New South Wales, Australia. Not available from Guilford in Australia or New Zealand. 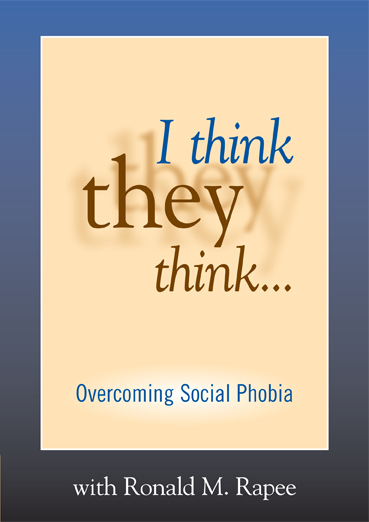 This compelling video provides crucial information—and new hope—for people struggling with the isolation, loneliness, and frightening physical symptoms of social phobia. Dr. Ronald M. Rapee and Dr. Lisa Lampe show in step-by-step detail how cognitive-behavioral treatment can provide the skills sufferers need to feel more comfortable in social situations and live fuller, happier lives. Including inspiring first-hand accounts from patients, the program brings to life the entire process of recovery.